The MOGUL auto-loading kit comes with .SND files and a .PGM file for the Akai MPC 1000. You know the drill...64 pads (for your MPC or sampler) of customized sounds of drums, synths, effects, guitars, sizzlin' claps and more to help make your tracks hotter! All products on this web site are Copyright 2006 PimpMyMPC, LLC. All rights reserved. 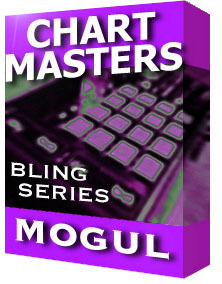 MOGUL: HIP HOP KIT FOR AKAI MPC 2000 akai;hip hop;samples 2485695 23.99 pimpmysampler Fresh Download Available!